Technological innovation in recent decades, especially in ICT, has created enormous value in the global economy. In the past Singapore has invested heavily in R&D, and built up an innovation ecosystem comprising public sector agencies, MNCs, large local enterprises, SMEs, startups, research institutes and institutes of higher learning and continues to do so. Government expenditure in R&D has risen from $2 billion in the first half of the 1990s, to $16 billion in the first half of the current decade. The number of research scientists and engineers in Singapore has also risen from 5,000 in 1991 to 32,000 in 2013, forming a strong core of experts whom the economy can rely on to take advantage of the opportunities arising from technological innovation. 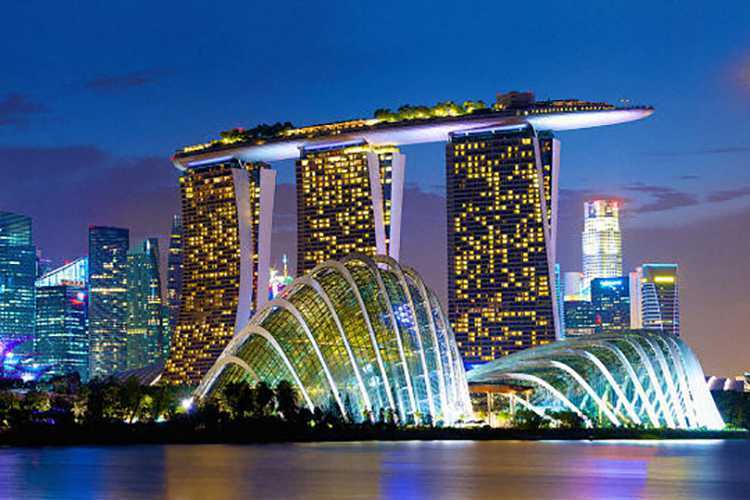 As a small city-state, Singapore has had to develop innovative solutions to overcome acute resource constraints, such as land scarcity and the lack of natural resources. For instance, in 1998, Singapore developed the Electronic Road Pricing (ERP) system to ease road congestion by influencing drivers’ road usage patterns. Several major cities, including London and Stockholm, have studied Singapore’s ERP system to address urban congestion. Singapore transport authorities are studying models for the next generation of the ERP system. Singapore is recognised as a global city and living laboratory, where companies can partner public agencies to develop, test and commercialise smart cities solutions. He gave examples of leading international energy and public utilities companies EDF, a French Electricity Company and Veolia have established Centres of Excellence in Singapore, and are working with the Housing Development Board to develop a complex systems modelling tool. This tool uses 3D simulation to visualise and test building plans in a virtual environment to help town planners design optimal living conditions. Smart cities solutions have the potential to transform cities, improve the living environment for citizens, and create new and fulfilling jobs. New capabilities and skill-sets will be required to support the development of industry that creates solutions for smart, or smarter, cities. Data analytics has been identified as one such important capability. The government has been actively partnering companies, universities and research institutions to train Singaporeans in data analytics, with the aim of nurturing a pool of 2,500 multidisciplinary analytics professionals by 2017. EDB has partnered IBM and the National University of Singapore (NUS) to establish the NUS-IBM Centre for Business Analytics, whose Master’s program is now in its second intake, with 28 students from more than 10 different industries. Currently, this is one of four masters and five programs for data analytics in Singapore. Singapore has also invested in research programs to support the development of smart cities solutions. For example, the Singapore–MIT Alliance for Research and Technology (SMART) Centre undertakes research on Urban Mobility, Low Energy Electronics, Environmental Sensing and Modelling. "I am pleased to share that autonomous vehicles (AVs) developed by SMART and NUS have been plying public roads in our One-North district since October, in a one-year trial. This project aims to address the “first and last-mile problem” in our transportation system."